MUMBAI/NEW DELHI: Dinesh Karthik Monday returned to India's World Cup squad after 12 years, trumping Mahendra Singh Dhoni's heir apparent Rishabh Pant in a selection move that will be debated for a long time. It was a more or less predictable 15-member squad picked by the national selection committee with another notable inclusion being Tamil Nadu's seam bowling all-rounder Vijay Shankar, who is expected to be used as a floater in the batting order, especially at number 4. Shankar, with his "three-dimensional qualities", took the slot which was speculated to go to Ambati Rayudu before his dip in form in the home series against Australia last month. 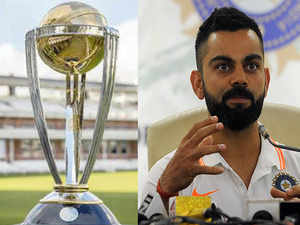 It is expected that both the young fast bowlers will be travelling with the team to England as back-up, who could be drafted in if anyone from the pace troika of Bumrah, Shami and Bhuvneshwar get injured.